Roger Riedener in the X-prize-winning AC Propulsion-powered electric MonoTracer leads Gerold Hellwig in a conventional K1200LT-powered one. 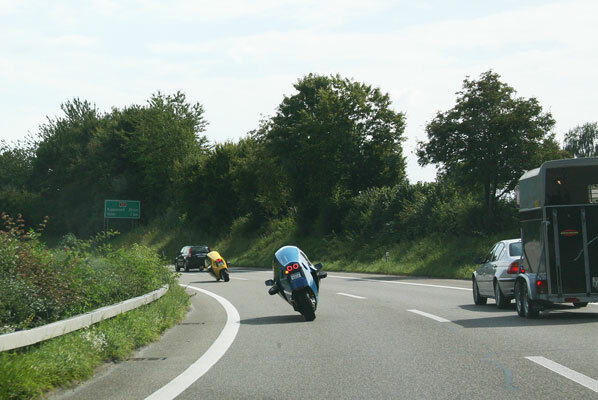 On an autobahn near Zurich. These are big motorcycles, but this rear view clearly shows how much smaller and more aerodynamic they are than cars.